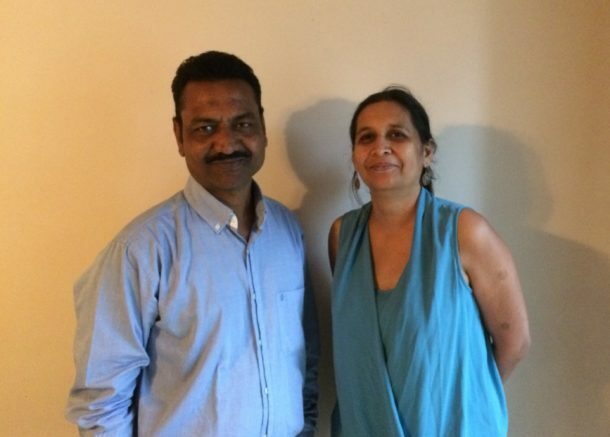 DesiClik.com was started by an Indian couple – Deepak Agarwal and Sadhana Bothra — in 2014. A new mother in the US, Sadhana Bothra gave up her thriving IT career to be with her first born full-time. She, and husband Deepak Agarwal, who also worked in the IT industry, were looking at creating some extra income while letting Sadhana also enjoy motherhood. Deepak helped Sadhana set up a site called Desi Vastra in 2004, selling Indian apparel for kids in the US. From these humble beginnings, the company has had many transformations over years, till it finally took the avatar of DesiClik. Deepak oversees vendor relationships, technology, finance and marketing at DesiClik.com, while Sadhana is instrumental in coordinating order fulfillments by working with all the vendors and helping turn new customers into returning customers. She is a Java Certified Programmer from Sun Microsystems who quit her top-notch position in the IT industry as an Assistant Vice-President with Whitehall Bank on Wall Street when her first child was born. Deepak has played various roles in his career ranging from programmer analyst to managing consultant, where he’s successfully deployed financial accounting software, set up laboratory information system software, handled business development, project management and communication with global teams. DesiClik.com is the largest US-based vertical e-commerce marketplace specialising in Indian products that span apparel, jewellery, handicraft, gifts, furniture, grocery, restaurant equipment, religious and puja items, festive goods and household items. The shopping portal offers an ‘all under one roof’ solution for Indians living in the US. With more than 3 million Indians living in America, and the expanding space and possibilities of online shopping, there was no single shopping portal where people could find everything Indian and talk to someone in their language while shopping for them. Added to this was the fact that when they bought from sites in India, delivery took longer, there was no easy way to return goods and service was not reliable. In 2010we started tapping into this yawning market gap with theindiabazaar.com, which we finally re-branded as DesiClik.com in 2014. The portal, with more than 10,000 products from 85 vendors, focusses on Indian products, not available on other global platforms, and at competitive pricing. DesiClik offers options to send gift items that cannot be sent otherwise from India, such as sweets. All products are shipped from the US and not from India. This also gives it the added advantage that big-ticket items don’t get damaged in transit, unlike while shipping from India. The shopping portal not only offers a one-stop solution for Indians living in the US, but also caters to the growing gifting market for Indians who want to send across gifts to their loved ones in the US. Our major source of revenue is based on a service fee on each order we collect from our vendors. Additional revenue comes from orders that are directly fulfilled by DesiClik.com. For our vendors, we plan to provide an end-to-end service at a premium price which includes warehousing to fulfilment in the near future. DesiClik is a lean company. We look for ROI on every penny invested into the company. Most of our budget is spent on marketing. We plan to become profitable by the end of 2018. DesiClik’s five-year plan is to cross $10 million in revenue. Our customer base includes online shoppers from the US, Indian restaurants, the corporate gifting segment and customers outside the US who want to send gifts to their friends and family in the US. Despite exponential growth of the Indian population in the US, not all towns offer stores for the growing community — many still drive an hour to find an Indian grocery store. 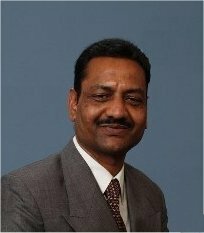 DesiClik offers a one-stop solution for Indian products in the US. Also Indian shoppers in the US need not worry about delay in delivery and returns unlike when they shop from Indian websites. For Indian customers looking to send gifts to their loved ones in the US, delivery is quicker as the products are shipped from the US and not India. We see a tremendous growth potential for this business, both among Indian and mainstream Americans. We want to replicate the concept in Canada, UK and Australia. Within India, we are looking to grow the business in some of the major NRI-focused cities such as Bengaluru, Hyderabad and Ahmedabad. Almost 10 per cent of the sales outside of the US are from India, with festivals contributing towards a large number of gifting-driven transactions. This is expected considering three million Indians in the US have left behind more than one million parents back home in India, and they send back gifts to their children and grandchildren abroad. We also have strategies to provide a B2B marketplace for their vendors in the US. Our biggest success has been the fact that we have been able to build a community of US-based NRIs around the business. In fact, we are organizing a seminar for all our vendors in the next few months and we look forward to the occasion to individually connect with each of them. As for impediments, having very few contacts in the business community in the US was a challenge for us. It required a lot more research to find the right partner to work with in key areas. Focus and patience have been the key for us. During every down time, we focus on both our short-term and long-term goals that have kept us going. We never forget to celebrate our achievements so we can look forward to the next one. We have the advantage of being around in the market long enough to understand both American and Indian cultures; we have a genuine feel for the respective market landscapes to meet specific demands. In fact, the potential for growth is so high that we are sure of achieving a revenue of $750,000 this year; thereby growing by more than 200 per cent in 2017. Thanks Mr. Deepak. Best of luck.